Before we start, a note of caution ... your bookkeeper or tax preparer should NEVER ask you to sign a blank form. IF they do, refuse to sign until it has been filled in. For example, your tax preparer cannot eFile your tax return until form T183 Information Return for Electronic Filing of an Individual's Income Tax and Benefit Return is signed. It can't be completed until all the data is entered into the tax program. DO NOT sign a blank T183. Signing it means you agree all the information being reporting is true and accurate. The proper process on your tax preparer's tax deduction checklist is for the return to be prepared and reviewied with you ... then if you have no questions and agree, sign parts E & F of the form. 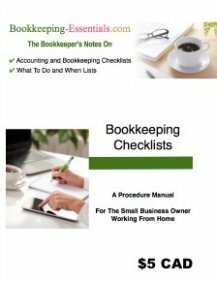 This particular article on tax deduction checklists is the first in a series of chats on tax planning opportunities for self employed home based business owners. It deals with how you are taxed, what is NEVER deductible and what deductions have limitations. Part 2 in the series dives into the allowable business tax deduction checklist for the self employed sole proprietor while Part 3 looks at common tax Q&A relating to operating your business from home. You'll find the home business tax forum here as well. Let’s start with looking at two tax deduction checklists about what is not deductible … so you can take maximum advantage of the tax benefits and tax savings available to home based business owners like you. If you are asking the question, "What expenses can I claim when I am self-employed in Canada? ", this series of chats will be particularly helpful to you. As a self-employed business owner in Canada, you have a tax planning opportunity to reduce your taxes through some favorable tax rules and income calculations. ... by ensuring you collect your paperwork for these items throughout the year ... so you don't lose any legal deductions. A big part of our chat today is going to talk about what is NOT deductible. I've prepared two tax deduction checklists for you. But first we'll quickly look at the concept of intention to make a profit and how your business is taxed. Pour your tea so we can get started! Are you looking for a U.S. tax deduction checklist for your home based business? This article is specific to Canadian tax. Four sources I've found might be helpful to you. You'll find some basic information on US home business taxes in my U.S. tax section. Tax Receipts.com has an excellent tax guide for sole proprietors written in plain English. You might also Bing/Google "Wayne Davies and ezine articles". He is a US tax professional whose speciality is small business and self-employed individuals. He has written a wealth of articles for ezinearticles.com. My favorites are his (what I call) "alphabet" articles ... B is for ... C is for ... G is for... you get the idea ... just like Sue Grafton's fictional novel series about private detective Kinsey Millhone. The fourth source is Stephen Nelson's website percheronhill.com. 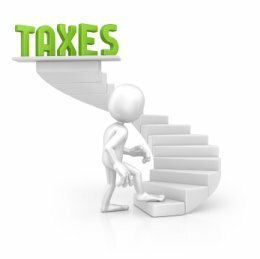 You will find numerous free articles on small business U.S. taxes. This series of tax deduction checklists and chats will hopefully help you become familiar with the self employment tax rules that apply to you. Home business tax deductions are available if you can show your intention is to make a profit. Expenses must be reasonable, not personal in nature and backed up with support documentation. This concept is called reasonable expectation of profit. The CRA used to disallow continual and significant business losses because they would argue there was no expectation of profit and therefore the expenses were not incurred to earn income. A 2002 Court Case challenged this. The CRA no longer assesses for reasonable expectation of profit UNLESS there is a personal element in the business transaction ... another reason to keep your business and personal expenses separate. However, having said that, it is NOT recommended to continually claim businesses losses that are offsetting other income. CRA would likely be willing to challenge you as almost all small businesses suffering ongoing losses have personal components to them. Follow my tax deduction checklists carefully because you are in a high risk group for getting audited by CRA. Knowing the rules is important because willful ignorance is not a defense. The onus is on the taxpayer to provide the burden of proof for all home business tax deductions submitted on your tax return. One of the reasons I'm presenting these tax deduction checklists is so that you fulfill your responsibilities when you sign your tax return. That's right, signing your tax return is not something to do lightly. Before we get started, it’s helpful to know what is new for the income tax year ... and how it may affect the tax deduction checklist for a sole proprietor. The T2125 schedule has been revised to reflect internet business activities on page 1. You must now list all your websites and the percentage of income generated from your site(s). Accelerated CCA for class 29 manufacturing and processing equipment has been continued. If you are in a partnership with less than 6 partners, be aware of the new filing requirements for the T5013 Partner Information Return. The focus is no longer on size but on the nature and financial activities of the partnership. The T5013A slip is now obsolete and replaced with the redesigned T5013. How Are Sole Proprietors Taxed In Canada? As an unincorporated business owner, you are taxed on your profit not your gross business income nor how much cash you withdrew from your business. This means there is a tax planning opportunity here if you learn what business expenses in Canada are legally deductible to reduce your gross income. The above formula could also be stated as: Revenue - Business Expenses = Taxable Income. Owner's drawings are reported at the bottom of page 3 of Form T2125 in the equity section along with owner's contributions and business liabilities. These numbers are not part of your tax calculation. Home business taxes, when you are unincorporated, are an integral part of your personal T1 tax return. Your self-employed business profit is reported on Form T2125 and then carried forward to line 135 of your T1 Income Tax and Benefit Return. That's why the tax deduction checklists I'm presenting in this series of chats are so important. Step One - all your world wide income is reported on page 2 of your T1 Income Tax and Benefit Return including your profit from Form T2125 as just discussed. See line 150 on your tax return. Step Two - your net income is calculated on page 3 of the T1 and is used to determine your eligibility for social benefits and tax credits you are entitled to. You must file a tax return to apply for and / or receive some of the benefits. GST/HST credit and the Canada child tax benefit come immediately to mind as do some reductions in provincial health premiums. See line 236 on your tax return. Step Three - your taxable income is calculated on page 3 of the T1 as well. This amount is used to assess your income tax payable. See line 260 on your tax return. Step Four - your federal and provincial taxes are calculated on separate schedules after non-refundable tax credits are taken into consideration. The credits are called non-refundable because they reduce the amount of tax owed, but only to the amount of tax owing. Any excess is not refundable. The tax payable amounts calculated are carried forward to page 4 of your T1. Step Five - the tax payable shows on page 4 of your T1. It was calculated in the previous step. It is then adjusted for tax installments, tax deductions, and refundable tax credits to determine your final amount owing or the refund you are due. See line 435 on your tax return. If this seems all a bit complicated, perhaps this humorous explanation using beer will help ... at the very least it should make you smile ... The Tax System in Beer. 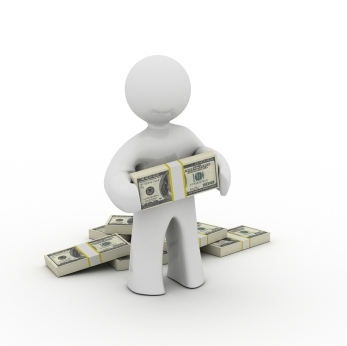 When planning your owner's draw from the business, do NOT plan to take excess cash. Instead, plan not to exceed your net profit ... otherwise you will not have the funds to pay your income taxes when you file your return ... or you may be spending funds that were collected in trust. This first tax deduction checklist starts with what business expenses are NOT tax deductible. If you follow it closely, it can save you a lot of grief if you are ever audited … keeping you out of trouble ... leading me to Rule # 2. # 2 Rule - Know the rules. Understand not every business expense is deductible. Only deduct what is legally allowed. 1. Personal expenses are NOT deductible. I put this item first on this tax deduction checklist because sometimes the line can get blurred between business and personal when you work from your home. 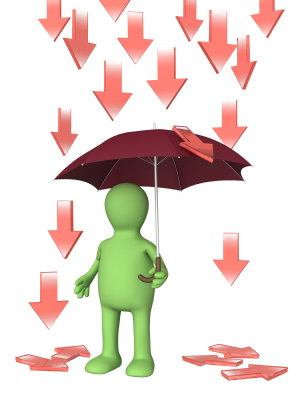 So always, always, always keep your business expenses separate from your personal expenses. If the item or expense relates to personal use or consumption, it is not tax deductible … so if you purchased goods or services for your business and you or your family used them for personal use (like food, home maintenance, your internet connection or home phone line … don’t forget property like your computer or office supplies) … the personal portion is not considered a business expense and is not deductible. 2. You cannot deduct the goods and services input tax credit as you have already claimed this portion of the expense on your GST return form GST34-2 E.
This rule applies to all rebates, grants or assistance. Only the net of the GST/HST expense figure/amount can be claimed ... your rule of thumb here is that if you are going to be reimbursed or have been reimbursed, it is not a tax deduction. NOTE: If the rebate, grant or assistance cannot be applied to a specific expense, report it under “other income” line 8230 Part 3 of form T2125. 3. Draws (sometimes referred to incorrectly as salary or wages) paid to yourself or partner(s). This third item on the tax deduction checklist does not pertain to owner-managers of incorporated businesses. Remember this checklist is about sole proprietors. 4. Donations to charities do not qualify. Make charitable donations in your personal name and claim them on the appropriate line 349 of your income tax return not on form T2125 … unless they were for advertising. The same applies for political contributions - report them on line 409 if federal or on the appropriate provincial schedule. 5. Interest and penalties paid on your income tax are not deductible. However, interest expense charged by CRA can be netted against CRA interest income to reduce the income reportable. When doing your home business taxes and bookkeeping, do not confuse the items on this tax deduction checklist with legitimate accounting expenses. CRA interest and penalties are a valid business expense on your Income Statement ... but should be tracked in a separate account from regular interest expense and finance charges because they are not tax deductible. 6. Since March 22, 2004, most fines and penalties imposed under the law of Canada or a province or a foreign country are no longer tax deductible. In B.C. this includes penalties from WorkSafe BC as WCB is considered a public body under ITA section 67.6. 7. Life insurance premiums, as the proceeds would be received tax free, are not tax deductible under the ITA section 18(1)(b). In "167 Tax Tips For Canadian Small Business", the author Mr. Thompson has a home business tax tip. If you structure your business loan properly, all or a portion of the life insurance premiums may be deductible. The policy must be used as security for a business loan with a Canadian financial institution whose principal business is loaning money to strangers AND the interest on the loan is normally deductible. A question to ask your accountant before you arrange your affairs this way would be ... does taking this deduction make the life insurance proceeds taxable once received ... instead of being tax exempt? 8. Appraisal fees relating to the sale of property or the sale of your business are capitalized and not expensed. The same goes for accounting and legal fees pertaining to the purchase of property ... capitalize them ... don't expense them. 9. The next item on this tax deduction checklist of what is not deductible are transactions made solely to avoid tax. 11. You are not allowed to deduct your own labor related to maintenance and repair to capital property. This is a big NO-NO! 12. This item on the tax deduction checklist is frequently audited. 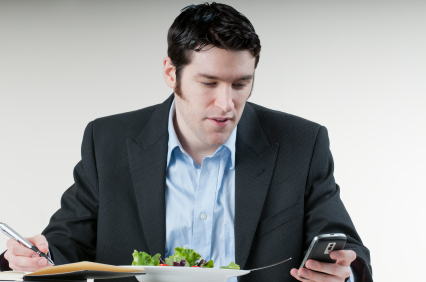 Meals eaten during an ordinary business day where no business meeting was conducted are not deductible. See what meals are deductible in the next section on limitations. Yes you read that correctly. It means just because you are self-employed does NOT mean you get to deduct all your meals. Ask yourself this question when in doubt, "When I was an employee, would my employer have paid for this?" If the answer is no, then you probably can't deduct it either. The idea is that you would still have to eat if you were not self-employed. That means the trip to town for supplies where you also grabbed lunch "while you were working" ... is NOT a business expense. The trip to town can be logged in your auto log though. 13. Advertising with foreign broadcasters that have mainly a Canadian market is not deductible. This was a selection of the most popular home business tax items that are not deductible ... now on to tax deduction checklist for expenses that have deductibility limitations placed on them. This second tax deduction checklist helps you become familiar with some of the rules listed in Canada's Income Tax Act. ;-) You can bet that the items on this tax deduction checklist will be scrutinized by the tax auditor during a CRA audit. What business expenses have limitations and are not fully deductible in the year incurred? Here's a peek at eight. 1. Prepaid expenses must be handled using the accrual method. This means only the portion of the expense that is applicable to the current year can be deducted on your income tax return. Prepaid expenses are amounts you pay in advance of receiving the service. The two most common amounts that are prepaid are insurance and rent. At year-end, your financial statements are adjusted by your bookkeeper to ensure only the portion you have "used up" is expensed to your income statement. The remainder is a current asset which sits in an account on your balance sheet until the next year ... when it will be booked to the appropriate expense account. Don't sweat it if the insurance was initially booked to the expense account on the income statement instead of the prepaid account on the balance sheet. It just means that at year-end, your bookkeeper will adjust your insurance expenses to reflect only the months covered to date. The months still outstanding will be reclassified to the prepaid account. Insurance is exempt from GST/HST. Here's a summary table of exempt and zero rated goods and services. CRA talks about treating prepaids, in most cases, in the same manner as GAAP in IT-417R2 Prepaid Expenses and Deferred Charges. 2. Capital expenditures cannot be claimed as a current expense. Capital assets must be reported on your Capital Cost Allowance Schedule 8. Not sure if your expense is a capital expense? Here are some questions to answer to help you decide. 3. Lease payments under a conditional sales contract should be capitalized and are not fully deductible in the first year. Income Tax Interpretation Bulletin IT-518R 17 defines a meal as "food or beverages for human consumption". How does CRA define "reasonable" in relation to meals and entertainment? As a guideline, turn to the parameters set out under the simplified method of accounting for meals. If your home business tax expense for meals or entertainment exceeds these limits without an explainable reason under the circumstances, limit your tax deduction to these guidelines. The amount over the guidelines can still be booked as a business expense ... just not a tax deductible business expense. There are special rules for a long-haul truck driver which won't be discussed here. Be aware that beverages and meal expenses consumed at a golf course must be clearly itemized. Get your green fees receipt on a separate receipt from your meals. CRA changed their position about meals at a golf course (in 2008 I believe). Previously they were not deductible. 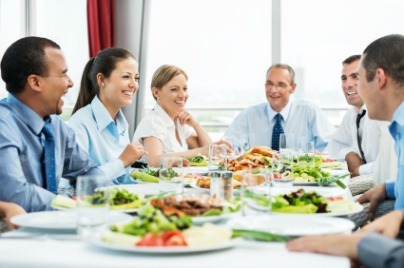 Now if a meal is consumed at the club after a golf game, the meeting must have a business purpose (my interpretation is that the person being entertained for business purposes should be a client, supplier or employee). Click here to learn WHEN the meals and entertainment 50% LIMIT DOES NOT APPLY . ALWAYS write the name of the business associate and the reason for the meeting on back of the receipt when entertaining or meeting for business purposes. CRA has also begun asking for the phone number of the business associate so you may want to jot that down as well. 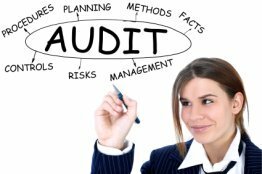 It will make an audit go more smoothly. See paragraph 19 of IT-518R if you want more information. Did you know that your credit card statement is not good enough for receipt purposes? Find out what is considered a legitimate receipt for CRA purposes. What if you don't have the meal receipt that shows up on business credit card statement ... you lost it? If it is under $17 per meal per person, claim the actual amount on the credit card statement. If it is over $17 per meal per person, then only claim the $17 per meal per person under tax deductible expenses with the remaining amount booked to non-tax deductible meals ... and don't take any input tax credits because the Excise Tax Act states you NEED a receipt to claim an input tax credit. Remember still take the time to note on the credit card statement the purpose of the business meal and who was present. Auditors WILL ask as they frequently audit this area. CRA's publication Meals and entertainment expenses (located on their website Businesses>GST/HST>Organizations>How to calculate input tax credits) explain that you have two ways to make this adjustment - (a) during each reporting period or (b) annually. If you are not adjusting each reporting period, remember to make the meals and entertainment Annual GST ITC Adjustment on your GST/HST return. Keith Anderson, CPA-CA has a good explanation of the GST/HST issues relating to meals and expenses. His summary table of the effect on business follows but read his article for the full explanation. Just remember that the non-claimable portion needs to be tracked separately as it is also NOT tax deductible. Tips paid voluntarily are not subject to GST/HST ... so ITCs should NOT be claimed on these amounts. Tips added as a service charge to a bill require GST/HST be charged and ITCs may be taken on these amounts. The GST exceptions to the 50% limit are the same as for meals in general and are listed here. 5. Legal fees incurred to buy a capital property must be capitalized. 6. Use of your home telephone for business (if you don’t have a separate business line) can be a problem. The monthly rental is not a home business tax deduction if it is used by the household for personal use … but the long distance billings pertaining to the business are a home business tax deduction on line 9220. Yellow page ads or any business add-ons are also tax deductible. 7. Inventory that has not been sold is not a deductible tax expense. It is reported on your balance sheet. Only inventory sold or consumed is tax deductible. This item on the tax deductible checklist should take care of itself if you are keeping your books using accrual accounting. 8. Advertising in periodicals directed to a Canadian market with less than 80% Canadian editorial content is limited to a 50% deduction. So that's it for this second tax deduction checklist on what is not deductible. In Tax Deduction Checklist Part 2, we'll look at what is deductible so you can be ahead of the game for your next tax year. It will include information on auto expenses. Home office expenses is dealt with in a separate article. Remember these tax deduction checklists are a great tax planning opportunity for you as a sole proprietor. 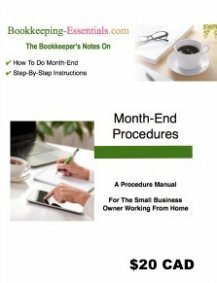 Taking the time to learn the rules now presents you with a huge advantage over waiting until tax time to prepare your books.